The rose quartz crystal is found in many locations in the world, mined countries like Brazil, South Africa, India, Japan, Namibia, and Madagascar.Drives its name from its pink color, and from the Greek word ‘hyalos’, which means glass. The rose quartz crystal comes in different and beautiful shades of pink, purple in color, it can be grainy, hazy, and cloudy in appearance, too.Rose quartz is called as the “Love Stone.” It’ used for unconditional love that opens the heart chakra. This makes rose quartz a stone for every type of love. 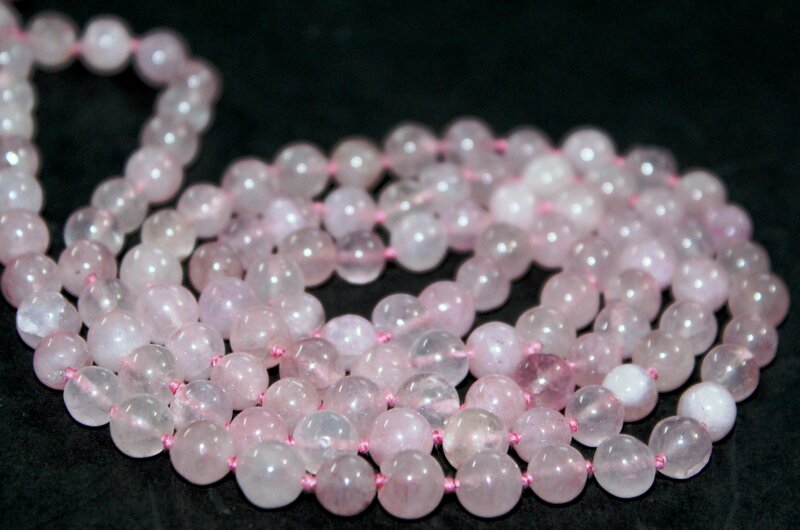 Scientists believe that the color of the rose quartz is a result of the impurities of titanium, manganese and iron. But the minerals in the rose quartz are definitely what give the pink color and appearance because of this reason rose quartz is very much a crystal of the heart and for the heart chakra. Rose Quartz has ability to absorb the negative energy in a home and it has the best results of love and healing and one should place the rose quartz piece near heart. If you are looking for unconditional love in your life, or you need healing from a love break or relations that did not work out, you should be wear either rose quartz pendent or bracelet or bead.It act as a powerful tool heal. As it has been used as a talisman of relationships for centuries and is a great source of inspiration for beauty and romance, and it has vibrational energies to stimulate your heart, mind, and body to seek love and happiness. Vedicsiddhanta is the platform to spread out your knowledgeable idea/ work to the right people who have a depth of understanding of your subject. We are here to help those who are looking for help and guidance in Healing, Health and astrological proficiency. We deal in Culture, Consultancy, Education, Health and Healing Science Products. Stay always in touch! Subscribe to our newsletter.